On March 21st and September 21st approx. you can witness the incredible accuracy of Maya astronomy as it was integrated into architecture and share a moment in time with the ancient Maya. The Maya, stargazers that they were, planned their lives around the sun; their daily lives centered on the sowing and harvesting of their crops, especially corn. At the spring equinox they planted the crops, and the autumn equinox was their signal to begin the harvest. The Maya built complex structures using advanced geometry and astronomy to map the cycles of the sun. For the Maya, the most relevant positions of the sun were the spring and autumn equinoxes and the summer and winter solstices. 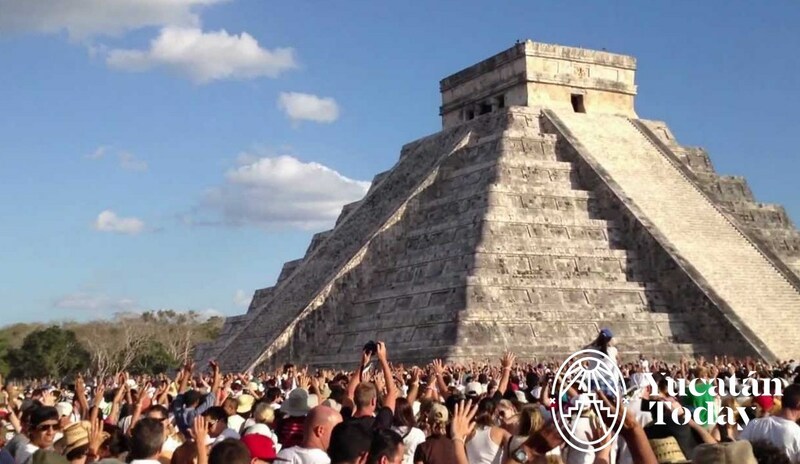 The equinox phenomenon can actually be viewed in Chichén Itzá on the El Castillo pyramid for several days, so if it is raining or cloudy or you just can’t get there, it is visible a day or two before and after the official equinox date. During the equinox the sun casts its rays on the pyramid during the afternoon, forming seven isosceles triangles that resemble the body of a serpent 37 yards long slithering downwards until it joins the huge serpent’s head carved in stone at the bottom of the stairway. It is said this snake is trying to make it to the well of sacrifice which is in the same direction. At the Maya site of Dzibilchaltún, at dawn on the mornings of March 21 and Sept. 21, the sun sends its beams through the two windows of the temple of “Las Siete Muñecas” (seven dolls) providing a lovely spectacle of Maya exactitude. The site opens at 4 am. This dates can change depending on the year, it could be one day prior or one day after. Dzibilchaltún is located 16 km north of Mérida and while it doesn’t have the giant pyramids of Chichén Itzá and Uxmal, it does have its own special claims to fame such as the “Museo del Pueblo” (museum of the people), the refreshing cenote where you can take a swim, and the Franciscan chapel that blends in with the archaeological site. 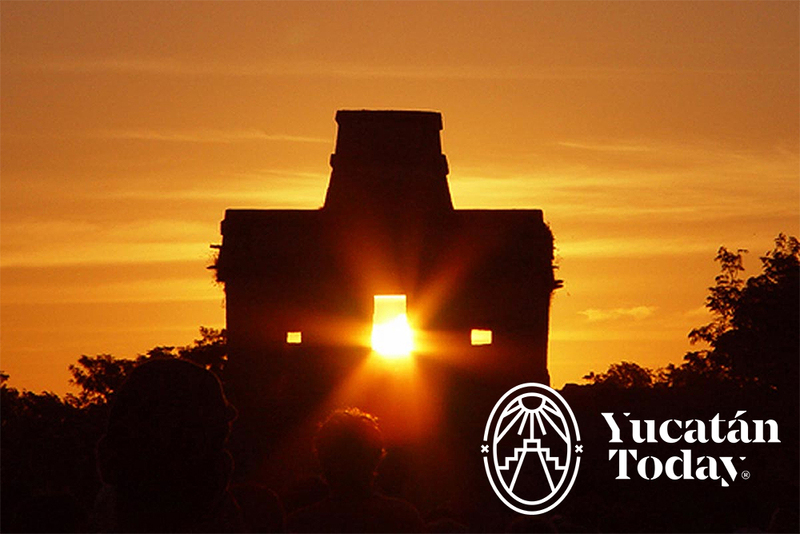 In Yucatan you can see the #equinox in Chichén Itzá and also in Dzibilchaltún. The Equinox in Dzibilchaltún is in the morning at dawn in the temple of “The Seven Dolls”. The site opens at 4 am. The Chichen Itza #equinox takes place in the afternoon, which makes it possible to see the two phenomenon on the same day. The spectacle can be observed in Chichen Itza one or two days before and after the official date.